EDGE is available in three finishes: Natural, Polished, and Touch, making this line extremely versatile for interior or exterior, commercial or residential applications. Touch is a new finish that subtly knocks down the top high points to leave a slightly honed texture. 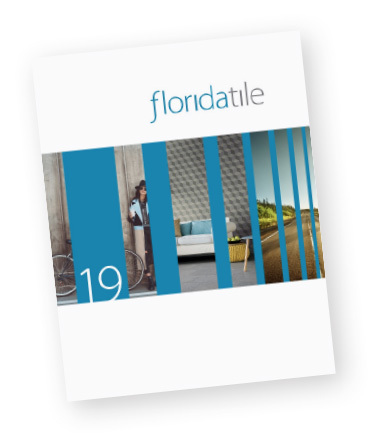 Rectified field tiles are available in a variety of sizes and finishes: 24x24 in natural finish; 12x24 in natural, polished, and touch; and 3.75x12 (cut) in natural and polished. All field tile, bullnose, and mosaics are available in all five colors: Snow, Cream, Silver, Taupe, and Carbon. These colors compliment the Time 2.0 hues except Taupe–an updated version of Dove that brings in more warm grays and lessens the chocolate brown tones. EDGE through body porcelain floor and wall tile is appropriate for all residential and commercial wall, countertop and backsplash applications, all residential and most commercial floor applications. EDGE is GREENGUARD® and Porcelain Tile certified, and the natural finish meets DCOF AcuTest® requirements to be installed in wet areas.